I spent 19 days on board the Russian-crewed Akademik Ioffe. Cruising through the South Atlantic and Southern Oceans, I visited the Falkland Islands, South Georgia and Antarctica. It truly was a once-in-a-lifetime trip (yet somehow I don’t think it will be my last trip to the polar regions!). It was also my chance to step foot onto all seven continents before I turn 30. There were so many special and amazing moments along the way but I managed to narrow it down to a few of my favourite that highlight the incredible ecology in this area of the world. 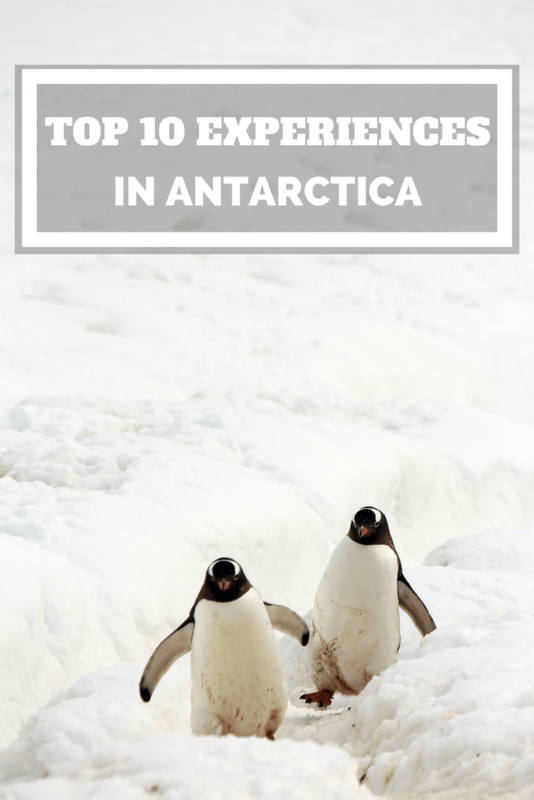 In no particular order, here are my top 10 favourite moments in Antarctica. Because of the length of my particular tour, the likelihood of being able to camp in Antarctica was very slim. Covering so much distance, it was necessary to travel every night rather than anchor in a bay. However, one night we were lucky and had the chance to camp out on an Antarctic island with only a bivy sack and sleeping bag. The weather was perfect and the water smooth as glass but for the drifting of small icebergs. A fellow passenger and I climbed the hill nearby and attempted to sled down it (unfortunately the snow wasn’t quite frozen enough.) But the overnight experience also happened to fall on the full moon – and we watched it rise over the mountains near midnight from the comfort of our sleeping bags. The Canadian in me couldn’t say no to the opportunity to splash into frigid water despite being sick with a cold. The last time I dipped into barely-above-0-Celsius water was on an ice diving course in Lake Minnewanka, Alberta. But that had the benefit of a dry suit. I stripped down to the basics and ran into the icy water of Deception Island Bay. Afterwards, my skin felt tingly and warm as all my nerves fired off from the refreshing dip. Happily, a hot cider awaited all of us back on board the boat to help us warm up. 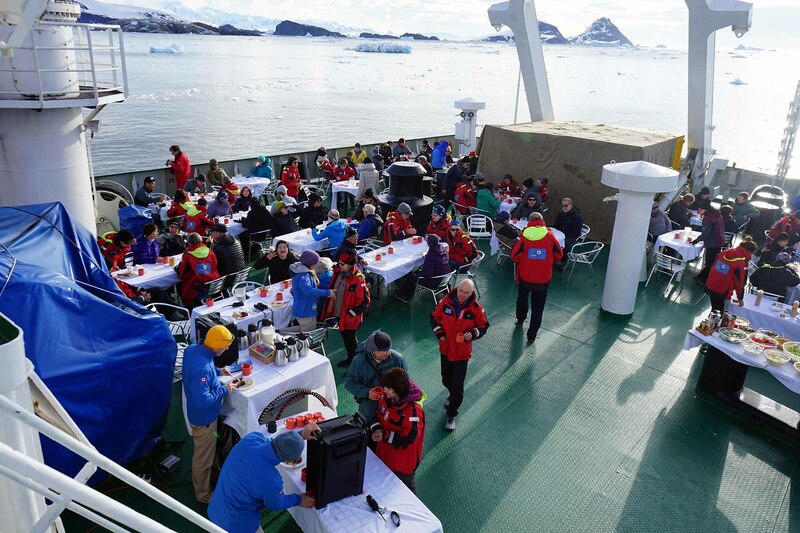 After a day spent visiting Gentoo penguins and zodiac cruising around giant icebergs and seeing more than a dozen leopard seals, an outdoor BBQ was the perfect end. The staff and crew on board the ship set up tables draped in white table cloths on the stern for a meal of ribs and steaming hot toddies. 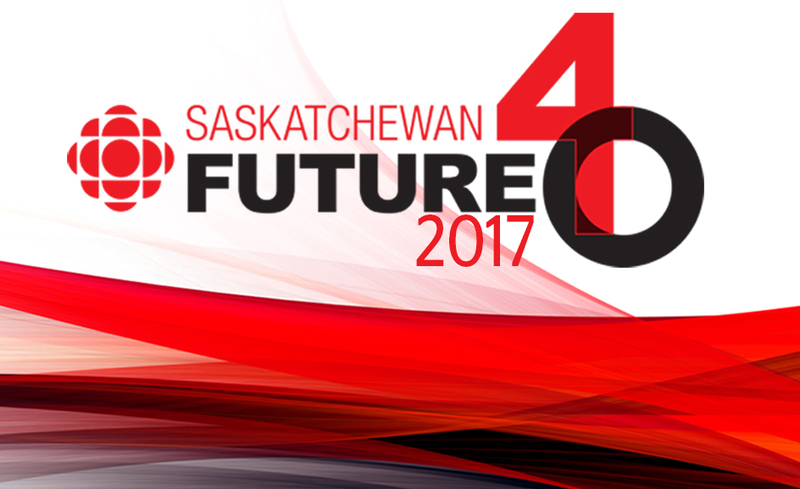 We were entertained by music and dance and even a happy hoopy time performance by resident professional hula hooper, Shihoh. 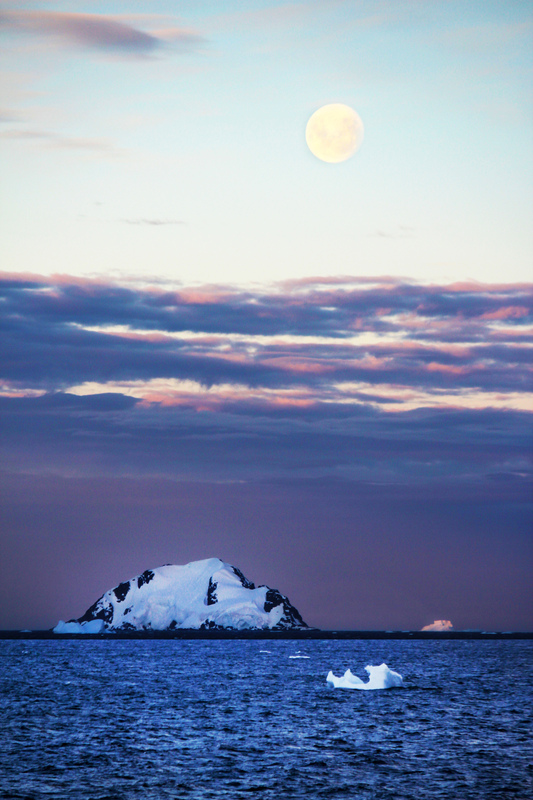 It’s the land of the midnight sun during the Antarctic summer. One evening in particular was quite special. Cruising from Cierva Cove to St. George’s Point many of us stayed up late to watch the sun set and the full moon rise close to midnight. Standing on the top deck of the ship watching the scenery go past, we spotted more than 30 humpback whales throughout the evening breaching in the water as we sailed by dozens of icebergs. Whether from a distance on the ship or up close and personal in a zodiac, the opportunity to see whales was a highlight. Two days in particular stand out as we cruised the bays we were anchored in and experienced humpbacks lob-tailing and splashing nearby. 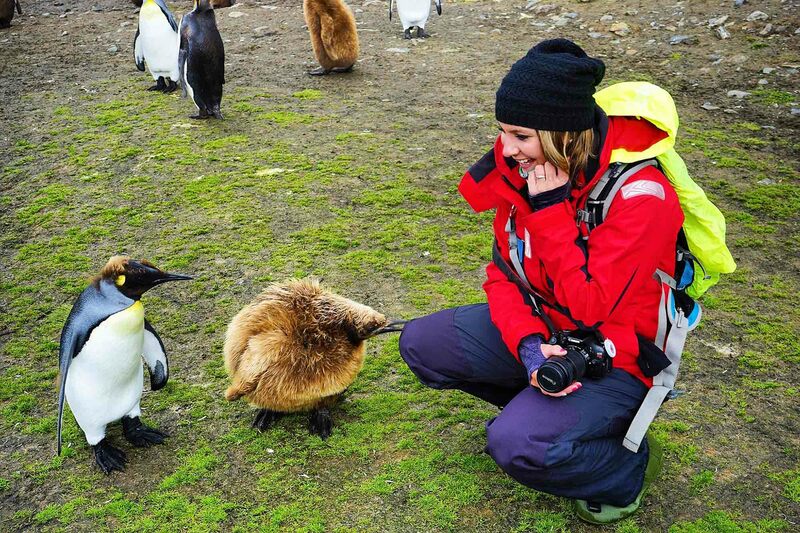 There is a rule in the sub-Antarctic region to remain at least 5 metres away from wildlife. But, if they happen to walk up to you, that can’t be helped. Visiting tens of thousands of penguins in Fortuna Bay resulted in many up close encounters with penguin chicks. I was so excited it was almost impossible to sit still but my patience was rewarded several times with close-up and curious encounters with king penguins. Sea days were often as we spent entire days travelling from island chain to island chain. Although days on board the ship were busy with presentations and information sessions, some of the best moments were hanging out with other passengers. 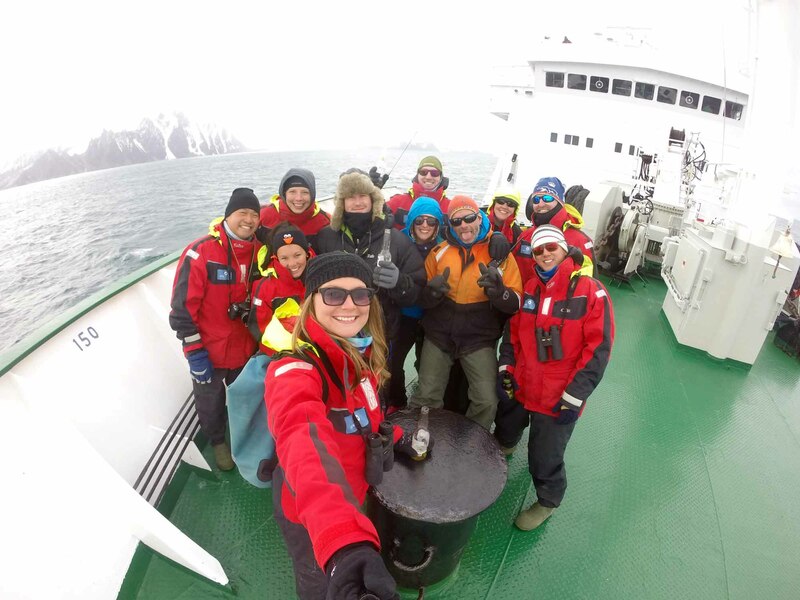 One such day was spent on the bow of the boat sharing a beer with a dozen other friends watching the scenery of Antarctica mountains and glaciers. I’m am an adrenaline junkie and adventure traveller to my core. 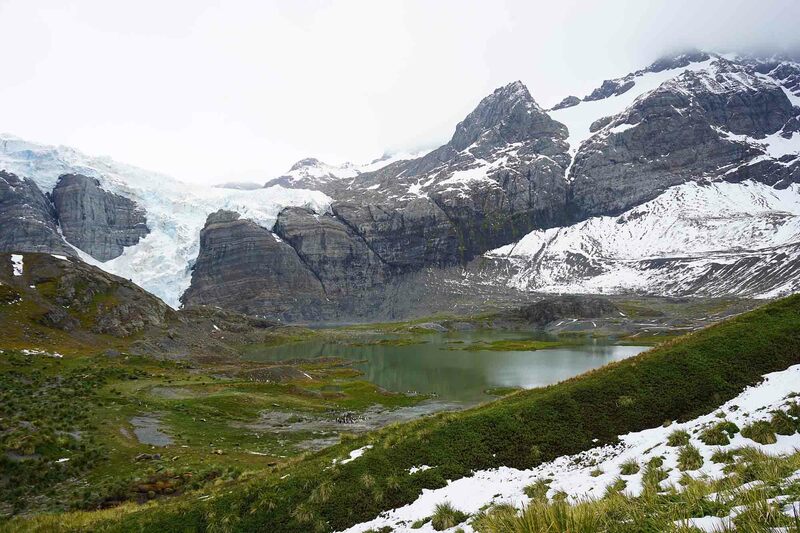 The weather in the sub-Antarctic region can change in an instant and conditions can go from calm to “sporty” in minutes. 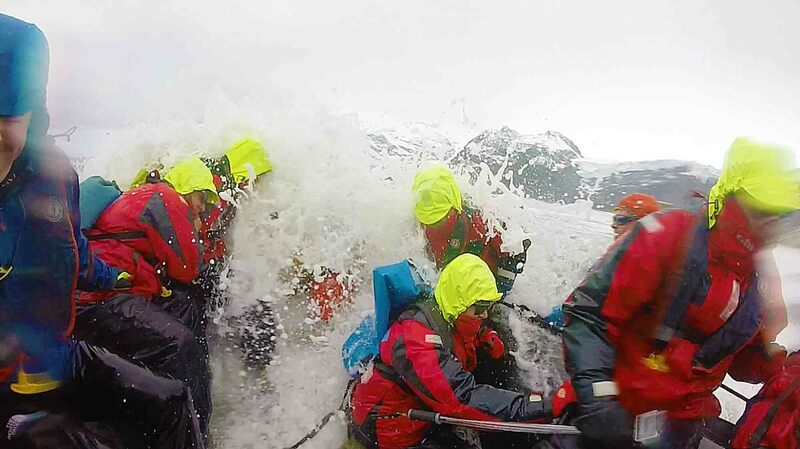 Several shore landings in the zodiac boats were quite dramatic as we launched through high swell and big waves. 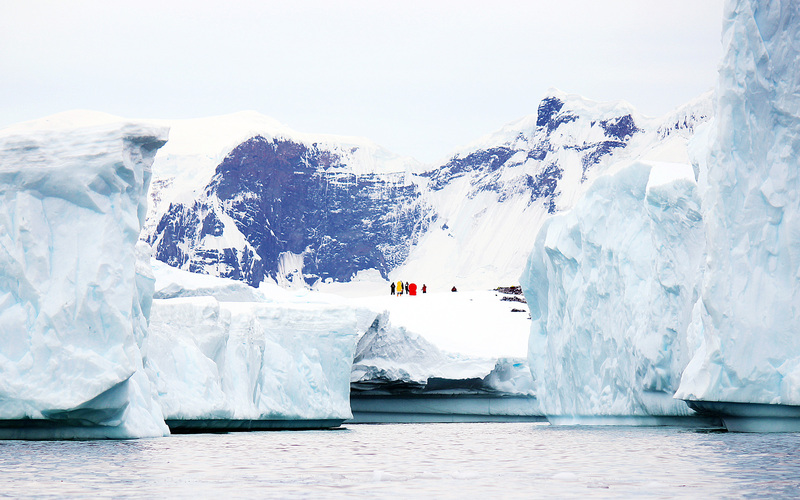 It was an Antarctic version of white-water rafting. Thank goodness for waterproof bags and gear. An admittedly challenging hike through marshy land, the view from the top of a hill in Gold Bay, South Georgia was worth it all. With glaciers and piles of elephant seals on one side to a view of tens of thousands of penguins and the ship anchored on the other, I straddled the top and swiveled my head back and forth soaking in the view. The end of that afternoon was topped by viewing the birth of a baby fur seal. 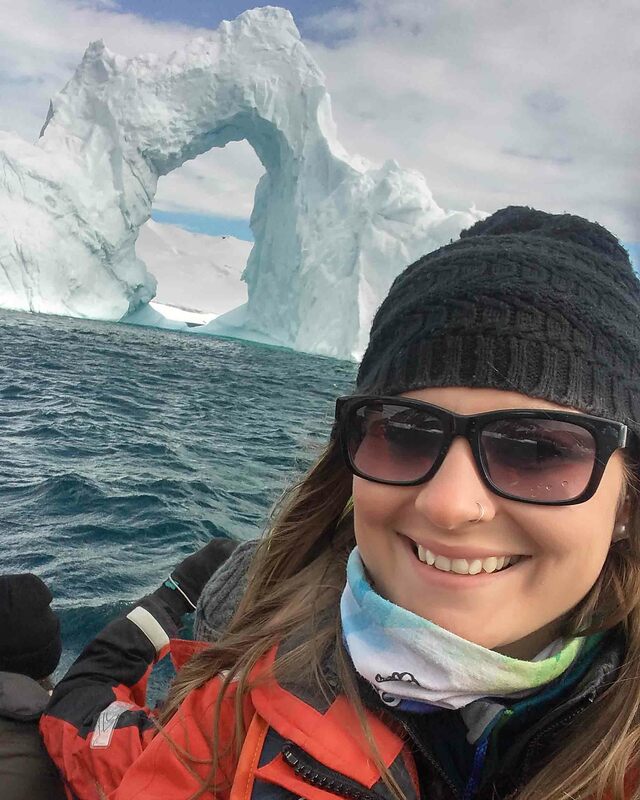 Antarctica is a truly unique and memorable destination to visit and it’s hard to put into words all the moments I experienced. For those interested in who I booked my tour through, you can find more information here. Love this post? Feel free to share it on Pinterest! I would give anything to travel to Antarctica! What an incredible experience. Your photos are stunning! This is my biggest dream. If there is one thing I have to do before I die, it’s this one! I loved reading about your 10 favorite moments and I’m going to read EVERYTHING ELSE you have on this trip!! Thanks!!! WOW!! What an incredible experience! 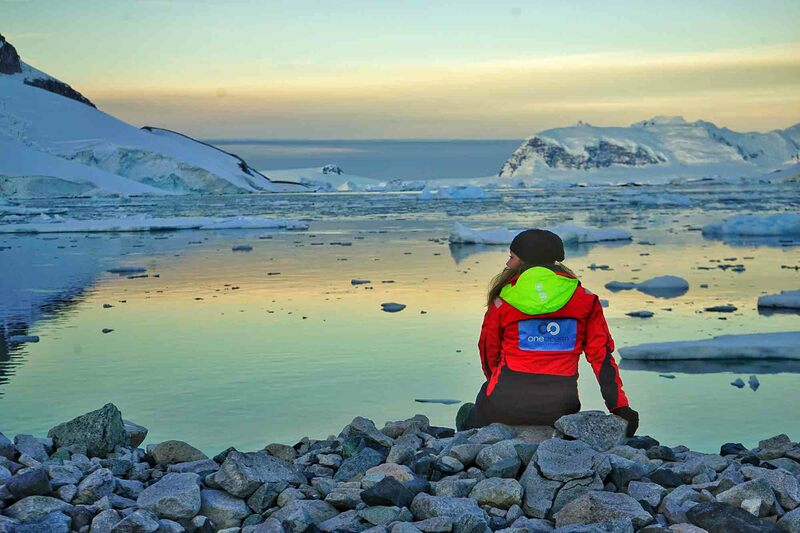 Those epic sunsets, icebergs and all that amazing wildlife, I’m sure are memories that will last a lifetime! I was so incredibly lucky and fortunate! Still need to pinch myself to believe it really happened! You are so amazing for doing a polar plunge in Antarctica in 1 degree water!!! And staying in to float in it! OMG you’re my idol. I love that you even went to Antarctia! It’s a dream of mine but seems so expensive and far and difficult. You’re my motivation! Congrats on all that and keep the pictures, posts, and videos coming! Wow! I can’t wait to get to Antarctica one day! Hopefully before I’m 40. 😉 I didn’t realize there were so many fun and diverse experiences to be had! What an experience to have!! This picture of the iceberg at twilight… it sent shivers down my spine! Thanks! It was seriously so incredible – and my favourite were those moments that were completely unexpected! I cannot believe that such a brave lady or girl you are really a very good experience and i appreciated your courage. Wow this is my dream to visit Antartica, hopefully one day is will come true. I love penguins too and would have been so excited if they did that to me. Reminds me when I was gorilla trekking, the rule was 7 metres although no-one told the gorillas that!! This is by far my #1 goal! I want to make it to Antarctica so badly. I’m shooting for next January leaving from Ushuaia, Argentina. These photos look amazing! 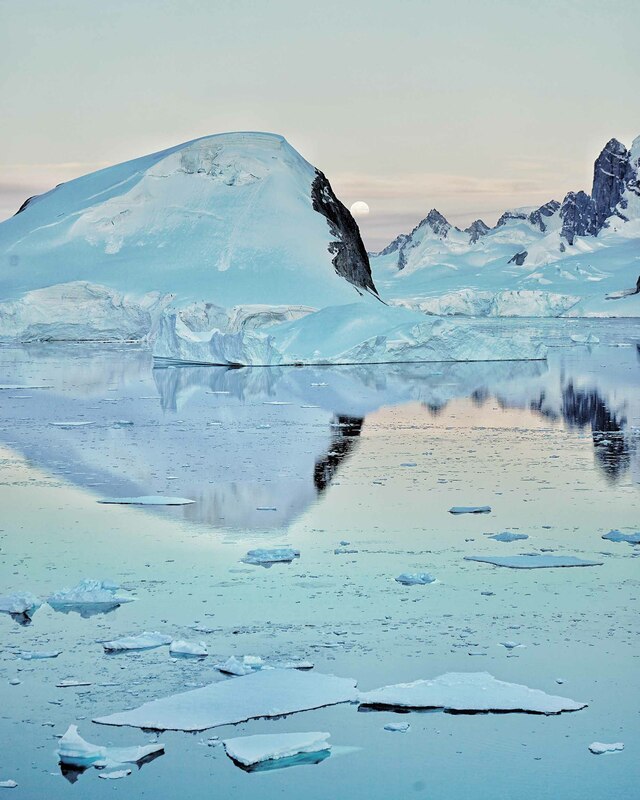 I’ve never thought about visiting Antartica but it looks so beautiful. Oh I am so jealous! I always had my plan to get to all seven by 30 and was on track when I visited Africa at 27. Antarctica was next on the list… then I met my husband and a wedding and an overseas move later has meant its off the table for now. Maybe by 40! Amazing pictures!! The Penguins on the beach in South Georgia look really great!! Would love to visit Antarctica once! Wow, what incredible experiences. Seeing so many penguins in the wild and up close must have been magical. Wonderful sunset picture too. 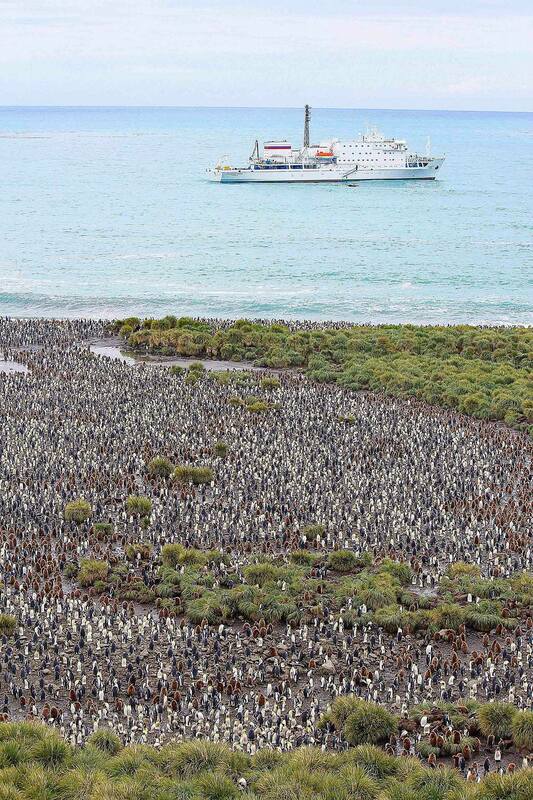 Oh my god all those penguins! 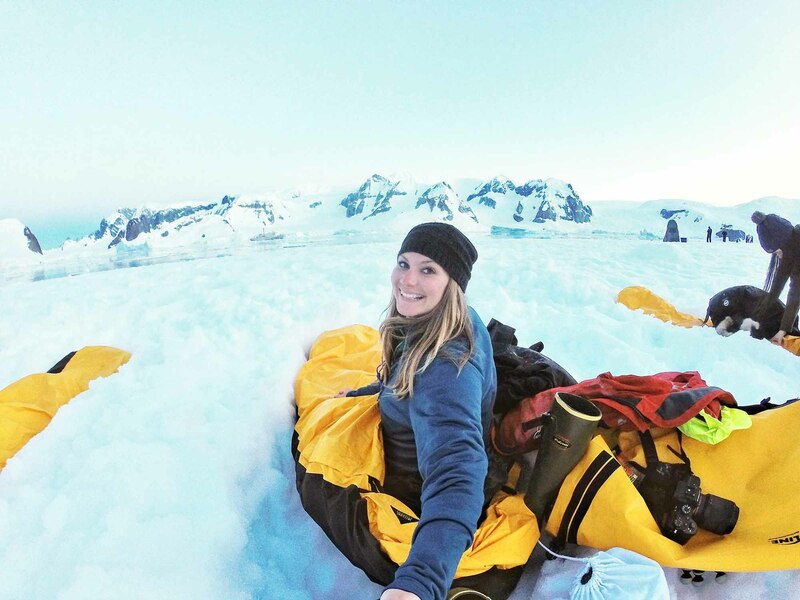 This looks like such an incredible experience – I hope we make it to Antarctica one day! This is AMAZING I have dreaming about visiting Antarctica for years but have found very little info about it! What an amazing trip to have! 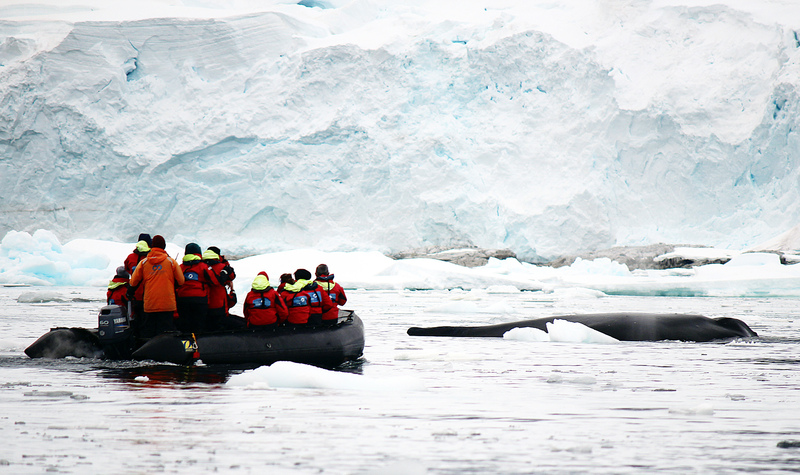 Antarctica seems to be a truly unique and memorable destination… And seeing 30 whales breeching whilst watching the moon… Wow ! A major bucket list experience for me… just need to buy some warm clothes !! Great pictures. So great to be so close with the penguins. Oh my goodness, this all looks incredible! Out of this world scenery and animal encounters you’ll never forget. I can’t believe you saw 30 whales breeching whilst watching the moon… a divine experience! And I would be so excited to see all those penguins in the wild too. Thank you for sharing your fabulous journey with us. Wow this looks amazing. Always high on my list of places to be!